Amid all the ongoing harassment allegations coming to light in Hollywood, countless men have been plucked from their positions of power and relegated to the ever-growing list of human scum whose reputations are tarnished for life. Johnny Depp, however, is not among those men, although he’s been accused of emotional and physical abuse by his former wife Amber Heard. 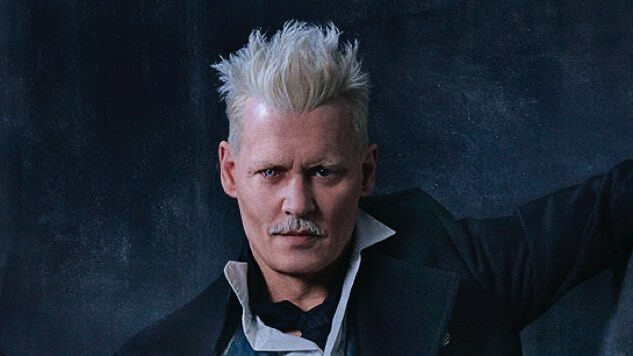 He still maintains a major role as Gellert Grindelwald in the forthcoming film Fantastic Beasts: The Crimes of Grindelwald. Director David Yates previously defended the casting of Depp for the movie, saying that allegations from a single accuser was not reason enough to remove the actor, as Yates has witnessed “kind” behavior from Depp on set when filming. “Whatever accusation was out there doesn’t tally with the kind of human being I’ve been working with,” Yates told EW on the matter. The Crimes of Grindelwald comes out Nov. 16, 2018. Read Rowling’s full statement below.